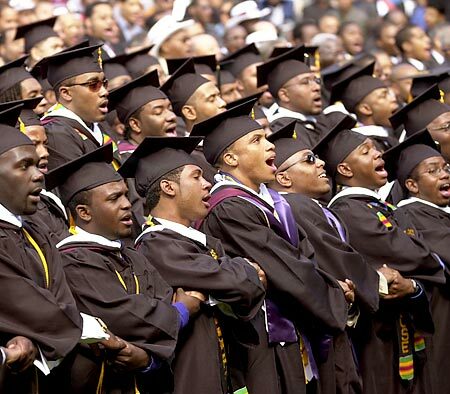 Morehouse men at a recent commencement. One of the rare places and times the world can observe 500 African American and other men graduate from college. If only every Black young person could have the benefit of seeing this amazing sight. It makes material all of the things that young Black men and women are told about the ability of African Americans to achieve anything they set out to accomplish. Great picture of some Morehouse grads! Thanks for that Wordless Wednesday! My pleasure. Always happy to share a great pic! Thanks for posting! I hope you’re well. As the mother of a prospective graduate of The House…this picture speaks loud and clear and does my heart good! Beautiful Black!